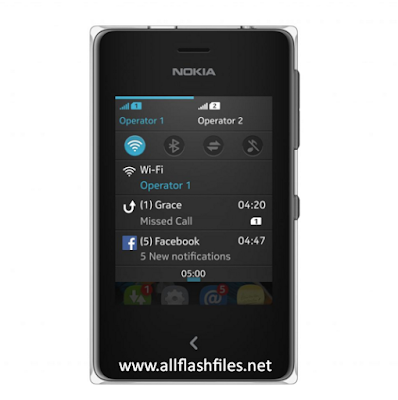 The latest flash files of Nokia Asha 500 have been released and free downloading links are available for download. Flash files are always used for do software or update mobile old firmware. Flashing of mobile does at those stage if mobile is working slow or completely break with the reason of its outdated or corrupted firmware. During flashing please use updated flash files only because if you will flash your mobile with corrupted flash files you mobile will going to dead and you are unable to recover it for long time. You can use different tools or boxes for flashing. Flashing tools always allowing you to flash your mobiles with USB data cable without flashing box. It is same way to you to flash mobiles with tools like flashing with boxes. If you are beginner in flashing you will need to follow simple steps which made your flashing process easy. First of all you will need to download latest flash files of your mobile then download the latest setup of your flashing tools or box. Now install it on your PC. You will need to put your mobile flash files in one specific folder in C:\Program Files. Because during flashing you can find it easily. Some of Nokia mobile flash file consist on three main parts like MCU, PPM and CNT. These three files managing your mobile all of data. You will need to download those three files. Now you can download latest flash files of your mobile from below downloading links. The downloading links are tested and good working. If you are facing difficulty during downloading or flashing feel free to contact us via commenting.